Today’s Cash Flow Expert is marketing expert Matt Frisbie. Matt explores the wide range of marketing, including outbound marketing, brand marketing, inbound marketing, content marketing, video marketing, nurture marketing, and retention marketing. Matt explores what marketing really is, how the funnel works, what aspects of marketing are frequently overlooked, and the importance of branding yourself well. He also reveals the 4 kinds of marketing budgets and the importance of social proof. 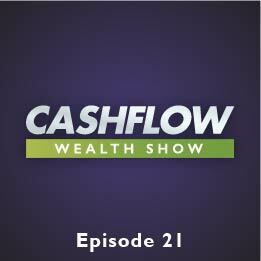 Today’s Cash Flow Expert is Rich Dad Advisor Ken McElroy. Ken is here to discuss how you can reconfigure your approach to business/investing/life in a way that improves your quality of life and gets you on track to live the life you truly want. There is an amazing lack of knowledge when it comes to money in today’s society. Ken discusses the 5 points of every goal (S.M.A.R.T. ), why it’s important to know which of the Cash Flow quadrants you’re in, investing to beat inflation, and the 4 components of every household and business. Ken also differentiates between good and bad debt while explaining the two investment philosophies people use. How long can you step away from your business and have it run as well or better than when you are there? Rich Dad Advisors Josh and Lisa Lannon discuss the 8 integrities of a business, as well as your need to find your “Why” and how you can figure out what yours is. It’s crucial that your company be about something and not just trying to make money, as those that are all about money means that there’s never enough. As you plan out your future, and your businesses, it’s important to stretch yourself and set goals that scare you a little.